HONOLULU (HawaiiNewsNow) - Need more proof that Oahu's housing market shows no signs of cooling down? In 2017, the median price of a single-family home on the island hit a record high — for the fifth straight year. That new high — $760,000 — is up 3 percent from the year before. The median price for a condo, meanwhile, also hit an all-time high, ending the year at $410,000. The figures are part of a year-end real estate report from property firm Locations, which is predicting the market will stay hot through 2018. That's because demand continues to be high and available inventory is low. Scott Higashi, president and CEO of Locations, said the median price for a single-family home is expected to rise about 5 percent this year. That would bring the median to just under $800,000 at the close of 2018. The median price means it's the one exactly the middle: Half of homes sold for higher prices, half sold for lower. It's a better calculation than a straight average (in which all prices are added up and divided by the number of homes sold) because very high- or low-priced homes can skew the results. 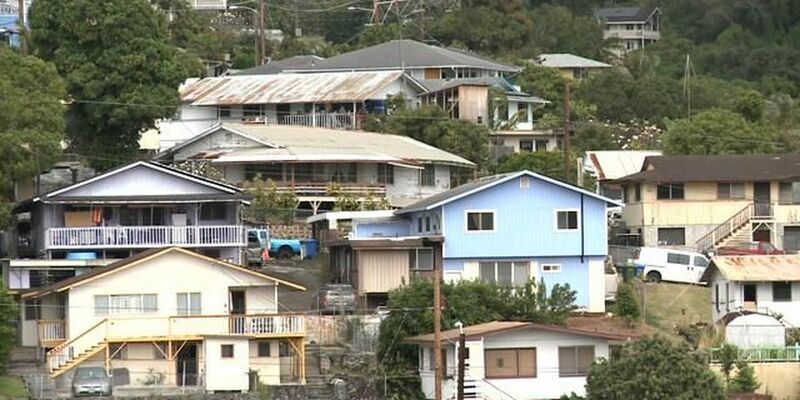 In many neighborhoods last year, the median was well over the median for Oahu. East Oahu, for example, said the median price of a single-family home rise 6 percent to $1.2 million. On North Shore, the median was $895,000. And in Kaneohe, it was $970,000. Meanwhile, Leeward Oahu's median was a relatively affordable $462,000, while the median in Ewa was $659,000.